32 Commercial Real Estate & Properties in Caloundra West are listed in 2 categories. We have 31 Industrial Warehouses Lease and 1 Hotels and LeisureLease . Ideally located in the Caloundra Industrial Estate just off Caloundra Road and in close proximity to the CBD. The property has 3 tenancies available 355m2 , 400m2 and 532m2 and is a fully fenced property. Floor areas: 532m2 400m2 355m2 High clearance roller door Small office area at the entrance High Ceilings Kitchenette toilet facilities 3 phase power Complex car parking Securely fenced gated No outgoings For Lease: 532m2 $63,600pa gross + GST 400m2 $48,000pa gross + GST 355m2 $44,375pa gross + GST For further information or an inspection contact marketing agents: Luca Reynolds 0422 777 04 luca.reynolds@raywhite.com Dave Tyson 0427 146 327 dave.tyson@raywhite.com Approx. 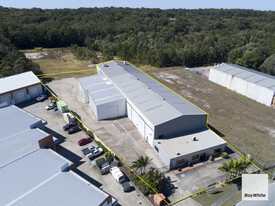 Caloundra West Large High Clearance Industrial Shed FROM $44,375 Gross.. Warehouse With High Clearance Awning $51,496 P/A + Outg.. 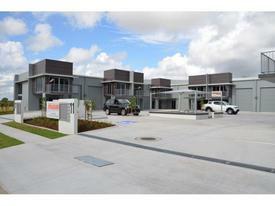 Warehouse, Gantry Cranes & Offices $82,418 P/A + Outg.. 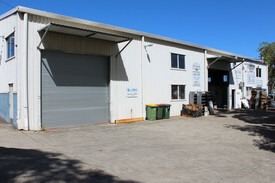 Compact Warehouse For Lease In Caloundra Location $282.70 P/W + Outgoings +..
High clearance roller door Serviced amenities Off street parking Rear outdoor common area Ultra high speed internet available Located just off Caloundra Rd and providing convenient access to Caloundra CBD, Nicklin Way and the Bruce Highway this property is in a highly accessible location. The complex provides high clearance roller doors, great natural lighting, good ventilation and secure fencing. Contact exclusive marketing agents for more information or to arrange a private inspection. Freestanding Commercial Shed Caloundra West $46,550 P/A + Outg.. Warehouse, Gantry Cranes And Office Areas - Caloundra $82,496 p.a. + Outgoings .. Ideally Located Showroom And Warehouse $64,350 p.a. + Outgoings ..
Workshop And Wash Bay In Caloundra $38,000 p.a + Outgoings a..
High Clearance Industrial Unit In Modern Complex - Caloundra $20,000 plus GST per annu.. Brand New Warehouse - Caloundra Rd $75,000 P/A + Outg..
Modern Tilt Up Warehouse Screaming To Be Leased! $33,000pa + Outgoings (GS..